www.m1n1.de is an information source not only targeting at the real classic Mini owner and enthusiast, but also your preferred point of contact for everything related to Rover based cars. We also can help with a lot of problems related to the electronics of your LandRover Freelander and Defender. Our aim is to help and support all Rover owners keeping their cars on street and to offer one or the other tip, how to personalize, improve or tune your Vehicle. Most information is granted for free for personal use. Some developments are offered for a small amount of money, to support the development of new gadgets. This web residence consists already out of more than 100 pages of comprehensive information. Some projects are dedicated to beginners, others for experienced people. All info here is provided �as is� and without any kind of guarantee or liability. Any commercial use of any information shown on this pages needs our prior written permission. 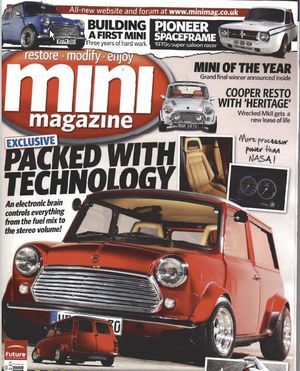 I�m proud having been awarded with the feature article in MiniMagazine 02/2011. Please click on the link below the picture if your�re interested in the article. Please get in touch with us for detailed info on specific items or in case you�re interested to advertise on our page. Wenn sie sich gerade ein neues Auto gekauft haben, und jetzt bei der Suche nach Informationen zu ihrem brandneuen Lifestyle-Car der bayrischen Autoschmiede sind, dann mag sie das jetzt schockieren: es gab schon eine Reihe Mini-Kombi-Modelle lange bevor sie sich zum Kauf des Neuzeit-Modells entschieden haben. Auf dieser und den folgenden Seiten finden sich jede Menge Informationen rund um den klassischen alten Mini. Ich distanziere mich hier in aller Form von den Produkten der Firma BMW und deren Namensrechten, Markenrechten und was weiss ich noch, was mit dem Wort Mini verbunden ist. 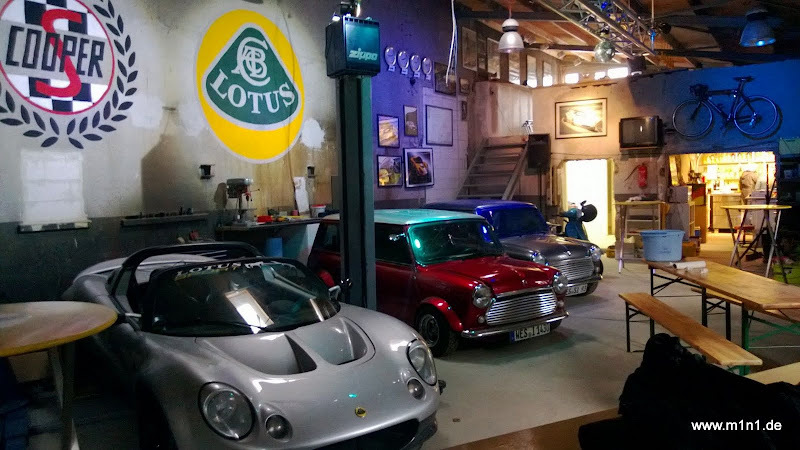 Diese Seiten stehen in keinerlei Zusammenhang mit dem New Mini, New Mini Clubman oder New Mini Cooper. Dies sind eingetragene Marken der BMW AG. Leider muss man das in dieser Deutlichkeit tun, um nicht Ziel einer Abmahnung zu werden.